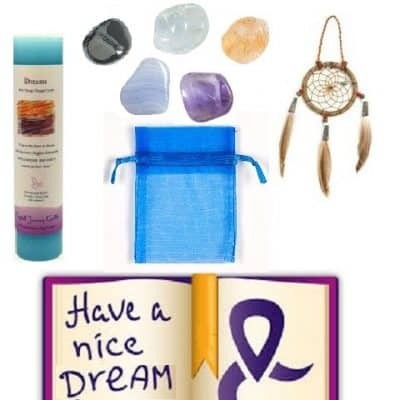 ~ This fantastic kit honors your most powerful day to communicate with spirits, ancestors and departed loved ones. 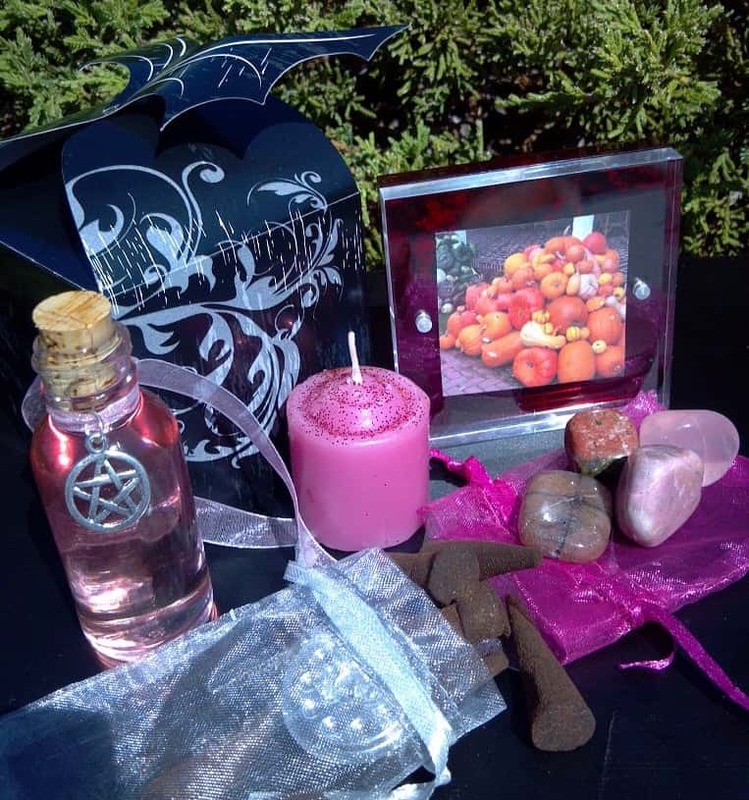 It helps you to create a “positive intentions” ritual and to design a positive “Rites” in your life… I highly recommend these kits to everyone (for beginner and expert alike). 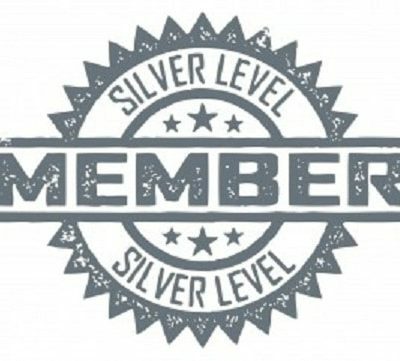 If you are new to setting, creating and allowing positive intentions and positive thinking into your life, here you will find an easy road map with my complete instructions. If you are an expert at bring and keeping good discipline and intentions into your life, then this kit is just what you need, as it is a complete set, with all the tools necessary to work with… right now! 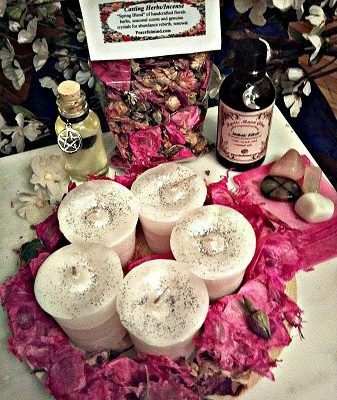 ~ This beautiful ritual set is a respectful, fragrant and fitting tribute created for a favorite family, friend or loved one who has passed! This ritual can be done on All Saints’ Day (All Hallows’), All Souls’ Day, The Day of the Dead celebration OR anytime you wish to pay homage to a beloved spirit! ~ 1 – 2″ x 3″ inch rose and clear glass magnetic picture frame. It allows you to easily open and place between its glass, a favorite picture of the person or animal you are honoring. 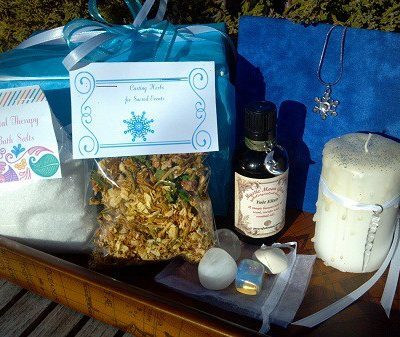 ~ 1 pure white organza satchel of 20 fragrant Myrrh Incense Cones with burner. Used for positive intention, purification and soul strengthening. These are richly scented, hand rolled cones, which are a great cleansing tool for home, altar, meditation space, sacred place or travel. ~ 4 genuine crystal tumblestones representing love, honor, faith and respect including Rose Quartz, Unikite, Rhodochrosite and Chiastolite (the cross stone). This set of four stones are used to set the intention and create the mood. Each stones has a powerful representation for an ancestral ritual! ~ 1-one ounce bottle of Pink Sugar Perfume Oil. This is a beautiful, light and sweet floral blend of tempting tuberose flower (polianthes tuberosa), harmonious honeysuckle (lonicera caprifolium), sensual strawberry (fragaria ananassa), relishing raspberry (rubus idaeus) with sensual mid-notes of sweet orange and figs. It adds an air of sweet dreams and intentions! ~ 1 Pink Rose Candle: This delicate candle is a tribute to the “soul of our loved one” who’s memory lives on through our hearts and mind. This soft, fragrant candle is created with pink rose buds, pink globe flower and precious bleeding heart petals. It is accented with rich essential oils of rose absolute, gardenia and sugar. It is blessed with a dash of magic sprinkled on top! ~ Complete instructions for creating a blessed altar or seasonal sacred space for your dearly departed! 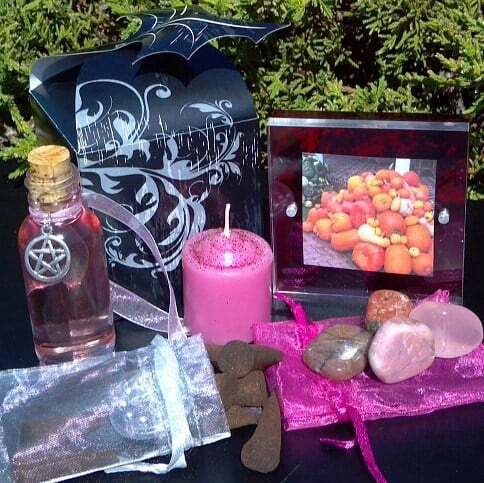 ~ All of these goodies fit into our compact, Signature “Bat Winged” Gothic Midnight box measuring 2 3/4 inches wide by 3″ inches tall!